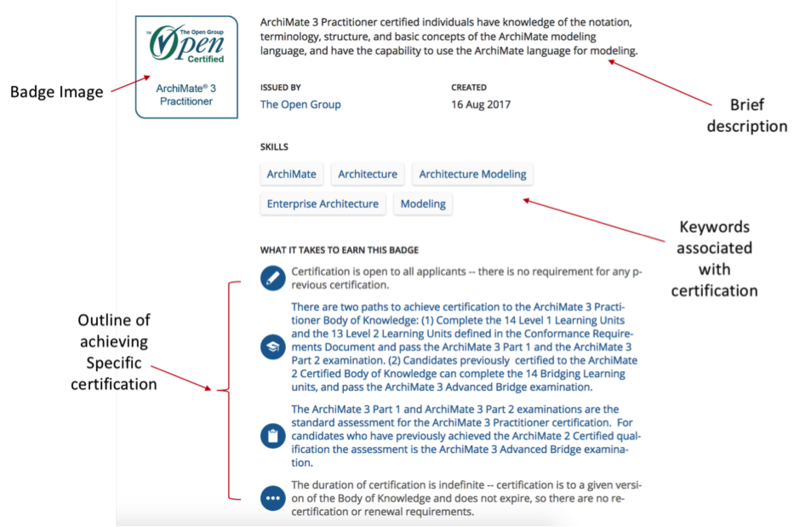 In September 2017, The Open Group began working with Acclaim, (a division of Pearson VUE, an exam delivery company), to introduce the concept of “Open Badges” to The Open Group IT4IT™ and Open Certified Architect certification programs. Since then, we have been busy! We have now rolled out this program across our entire certification portfolio and, as a result, have invited everyone with a current certification with The Open Group to participate. This has resulted in over 20,000 badges being issued, with no surprises that the TOGAF®, a standard of The Open Group, badges are the most popular. But what is an Open Badge? It is far more than just a pretty image file someone can display on their LinkedIn profile or tweet out on Twitter. Although we do encourage people to do this for other reasons. Each badge is a verifiable digital credential, with a comprehensive set of metadata associated with it. They are backed up by a fully authenticated system which means that in a time where competition in the career market space is perhaps at its fiercest, a recruiting organization can very quickly verify a candidate has the qualifications they claim. And what’s more, a recruiter, not familiar with a certain qualification, can very quickly click through to the badge details and get a much deeper understanding of what skills the candidate actually has. This only adds to a candidate’s credibility compared to other applicants, and adds new levels of confidence, credibility, and verifiability for potential employers. Also, within the badging system, there is a “Current Jobs” section, which gives some excellent insights into the job market for Certification holders, such as typical job titles asking for certain qualifications, geographic location, top skills requested, and not least of all, typical salaries. 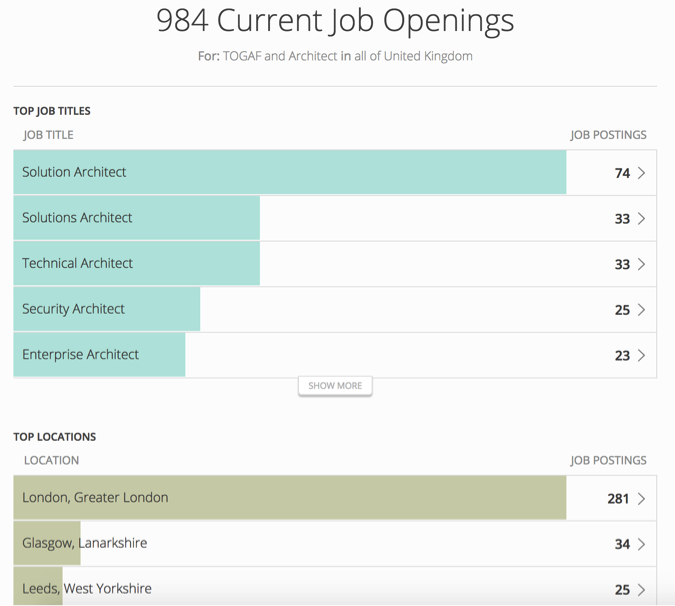 This can be further drilled down, where a list of current open job postings from the top job sites can be found, helping an individual find their next career move. 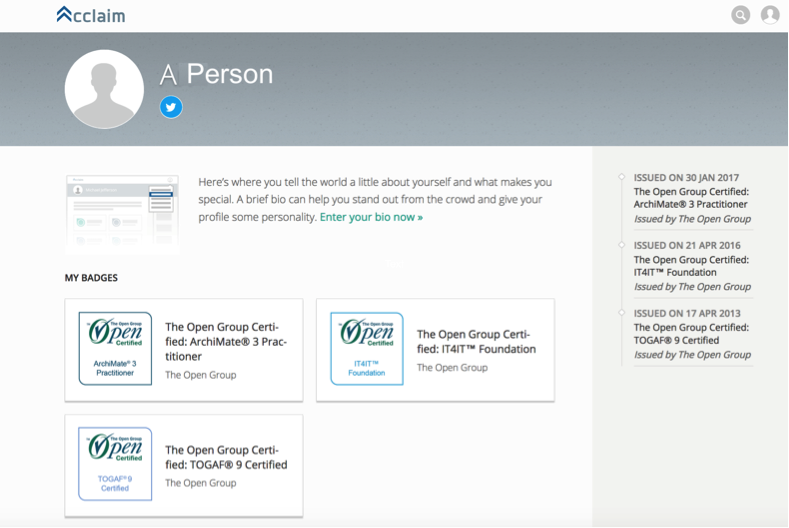 At The Open Group, we believe adding Open Badges to our certification portfolio in the digital age has further increased the value of our certifications to both the candidates and the market. And over the coming year, we plan to add further enhancements to the program. Watch this space. 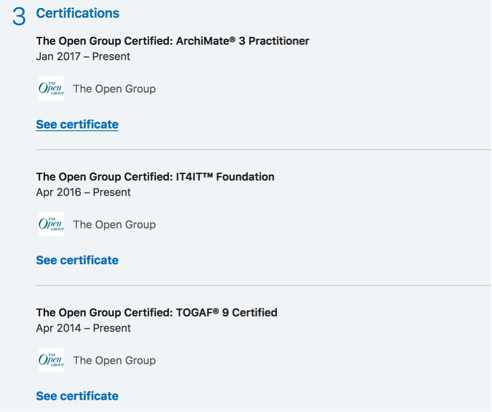 If you have a current certification by The Open Group, and would like to receive your Open Badge, or would like to know more about the program, please send an email to: badges@opengroup.org. 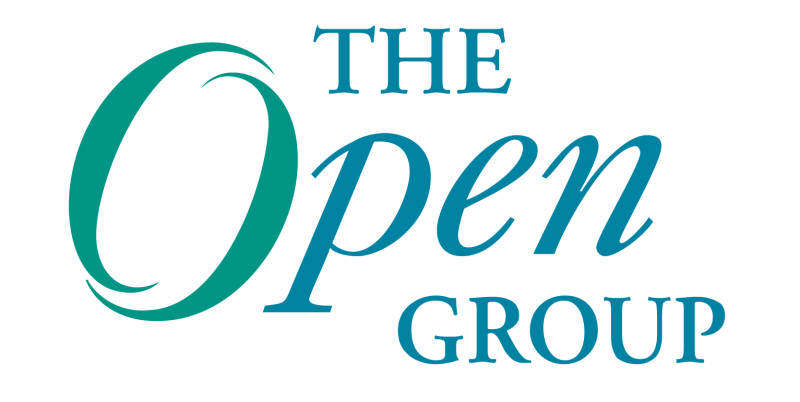 For more information on our current certifications, please visit The Open Group website Certifications section. For detailed information on The Open Group Open Badge program, including frequently asked questions and answers, click here.